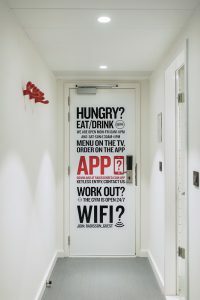 Stockholm – December 7, 2016 – Radisson RED, a new hotel concept focused on the millennial mind-set through art, music and fashion, is maximizing efficiency and boosting guest experiences at its Brussels and Minneapolis properties with the implementation of ASSA ABLOY Hospitality Mobile Access into the brand’s hotel app for keyless guestroom entry. Along with the installation of ASSA ABLOY Hospitality’s VingCard RFID door locks, ASSA ABLOY Hospitality Mobile Access, via Radisson RED’s hotel app, provides unmatched security as well as improved processes and convenience for guests. 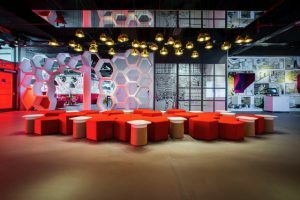 With so many of today’s travelers being part of the always on, always connected millennial generation, it was important to the Radisson RED leadership team to create a dedicated hotel app that would enable all guests to manage their bookings and hotel stays from start to finish in the most seamless way possible. It is fitting for this new-age, cutting-edge hotel brand to provide a tool that allows guests to travel light and use their own devices to interact with reservations and access guestrooms. The RED app centralizes everything a guest might need before, during and after their stay on a single platform. Operating with secure Seos technology, ASSA ABLOY Hospitality Mobile Access delivers unparalleled security, working within the RED app to assign guestrooms and generate encrypted digital keys. These keys are securely delivered to guests’ smartphones where they are placed in a secure digital key vault within the app. When presented to the appropriate lock, the app then transmits the encrypted key over a secure communication channel using the device’s integrated Bluetooth. This protocol ensures that only users with authorized access to a specific guestroom are able to receive digital key information to unlock the door. The VingCard RFID door locks also offer state-of-the-art security technologies with powerful and innovative anti-cloning features that prevent unauthorized access to guestrooms and unauthorized duplication of keys. Compatible with ASSA ABLOY Hospitality Mobile Access, these door locks are an added feature creating ease of use with the keyless entry. For more information, please visit: www.assaabloyhospitality.com.